First invented more than 150 years ago, the steam cleaner today is an essential part of the cleaning gear in every household. Cleaning with steam is a very interesting process and once you realize how much things can be cleaned with nothing but steam, you’ll understand why some people use nothing but a steam cleaner to keep their homes in a perfect condition. To begin with, the Internet is filled with all sorts of information concerning steam cleaners – from which brand is better to how to clean your cat’s litter box with a steam cleaner. We’ll let the numbers speak for themselves, presenting you certain data about steam cleaners: statistics from 2000 reveal that 70 percent of all steam cleaners were owned by cleaning companies, whereas now the percent has dropped to 49. Nowadays, it seems, not only professional cleaning companies like Luxe Apartment Cleaning use the power of steam to clean – now almost everyone has a commercial-like steam cleaner or at least a steam cleaning mop. Yet, there are some things about steam cleaning which some of you might not know. And here they are: a collection of all the things you didn’t know about steam cleaning. 1. You can actually iron your clothes with a steam cleaner. It’s the perfect iron you’ll ever need. 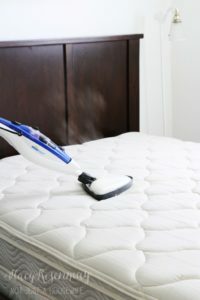 Ironing with a steam cleaner is easier than with a real iron because you don’t need an ironing table for the process – ideal for small apartments. Just a few minutes of steam cleaning your clothes are enough to erase all wrinkles from all sorts of fabrics. What’s more, you can even “iron” your curtains and drapes with a steam cleaner. 2. Use the power of steam to remove grease and grime from your grill and oven. 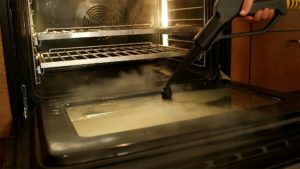 Now, before you freak out, read this – steam cleaners are so powerful that they can remove grease and grime and that’s why professional cleaning companies tend to use their steam cleaners for oven and BBQ cleaning. Five minutes of steam cleaning your BBQ are all it takes – you’ll have a brand spanking new grill in no time. Just try it. 3. Steam cleaning can help you preserve the colours of the fabric. Remember that commercial with the washing powder said to ‘return the colours of your clothes to their previous glory’? Well, you don’t need this – buy a steam cleaner. Steam cleaning machines are incredible because they can really help you preserve the natural colours of your fabrics. That’s not all, though – steam cleaning also increases the durability of the fabric. This is incredible news because with one simple steam cleaner you can clean upholstery, drapers, clothes and even carpets and also increase their lifespan. 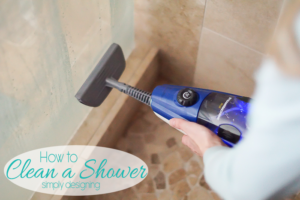 Believe me, as long as you have a steam cleaner, you don’t need any other cleaning tool. 4. Steam cleaners are more effective in the fight against bacteria than bleach. Bleach removes 99.9 percent of all bacteria. Steam cleaning removes a 100 percent. There are things which even the most hazardous chemicals can’t remove and which are removable by steam cleaners. Thus, if you clean your home with a steam cleaner, you will eliminate all bacteria and germs from your spaces – you’ll have a squeaky clean home with no efforts. And now you see why some households use nothing but a steam cleaner. This revolutionary device has been helping us keep our homes clean for more than a century and has really paved the way to absolute sanitation of our homes. Don’t hesitate and buy a steam cleaner, you’ll be surprised how much effort those machines can save.